Tired Of Doing All The Dishes?! Then this is the month for you! 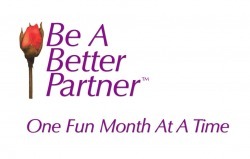 Step up to the plate, Partners, it's time to put yourself in someone else's shoes this month. Welcome to Swap Chores Month! One of the biggest complaints in marriages is feeling unappreciated. This month is designed to turn that around and help both Partners by creating opportunities for you to really understand and acknowledge all your partner does! So, whatever it is, laundry, cooking, paying bills, running errands, shopping for gifts or yes, working on the car....it's time to pick a chore or two and swap with your better half for a month! You've heard the grass is always greener? Hmm, maybe not - but you sure will be glad to return to your old chores after a month - or maybe you won't?! When's The Last Time YOU Mopped The Floor??? Done the cooking for a whole week or more? Done any work on the car? Done any of the yard work? Well folks - it's time to sit down and plan a strategy! The goal here is not to unload some work you hate, the goal is to take the time to learn all your Partner does for you. By the end of this month, you should be able to tell your Spouse that you really REALLY appreciate them and all the hard work they do around your home. As an added bonus, you get to get rid of a chore you hate (but that's NOT the goal!!!). Come on folks - are you still reading!? Well put your laptop down and make a plan - remember - this doesn't work if one person is doing all the work! And remember to include all of those chores that don't seem like chores. The out of the ordinary - anything that feels like work or something you don't feel appreciated for. 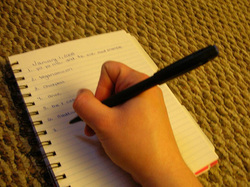 Get your lists going & break out that mop!! Well of course, there's always our book - available to download or purchase on Lulu! Been wanting your Partner to fix something that's been broken forever!? It's time to take over the fix-it list! There's lots of How-To websites out there and of course, those free Home Depot workshops on the weekends! Try Ehow or About or DIY. Is it the cooking you'll be swapping? Well, for beginners, check out the Reluctant Gourmet, AllRecipes, or MyCookingTips.